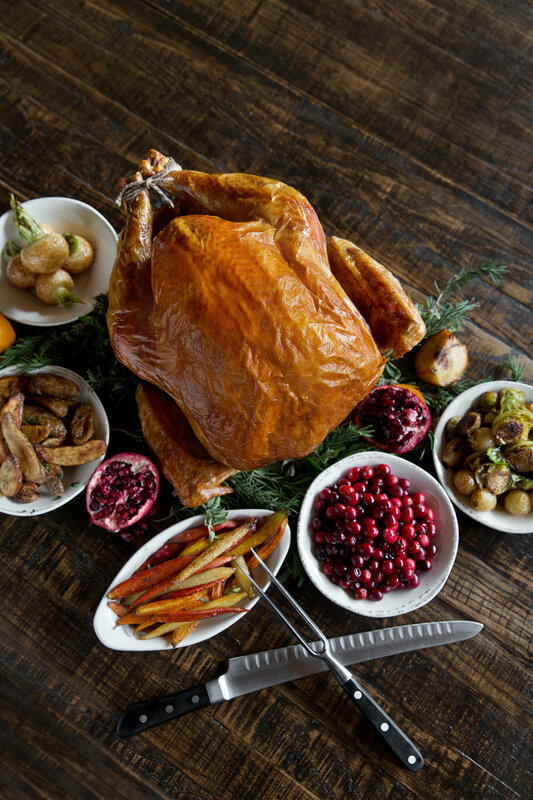 Let The Tuck Room do the cooking this year and enjoy a Thanksgiving feast with family and friends by indulging in a decadent buffet made up of all the traditional and favorite Thanksgiving staples and much more. The buffet includes Acorn Squash Bisque, Classic Shrimp Cocktail, Autumn Salad, Herb Roasted Turkey, Honey Baked Ham, Roasted Prime Rib, Honey Glazed Carrots, Chestnut Stuffing, Sweet Potato Shepherd’s Pie, Caramelized Brussels Sprouts, Sautéed Green Beans, Truffled Mac + Cheese, Yukon Gold Mashed Potatoes, Orange-Cranberry Compote, and a bread station. For the little ones, there is also a Children’s Table that includes Turkey and Beef Sliders, Buttermilk Friend Chicken Fingers, and Mac + Cheese. Lastly, it wouldn’t be a Thanksgiving feast without dessert. The buffet includes classic housemade pies like Legendary Silken Pumpkin Pie, Cherry, Pecan, and Banana Crème. An assortment of cookies and apple cider doughnuts are also on Tuck Room Thanksgiving buffet menu. To make a Thanksgiving reservation and for more information, call 832-709-2146 or book using this link.